The NCAA tournament normally puts together a consistent rotation of cities to host the first and second rounds. The script would be flipped as Columbia, S.C. hosted its first set of games in 50 years. Unlike many first and second round sites, the arena was packed and the crowds were raucous late into the evening hours. It certainly helped having two number one seeds in Virginia and Duke playing. But, as we have become more and more accustomed to in recent years, these games are no longer walkovers. Last year, I was courtside for what seemed to be the unimaginable. Not only did UMBC knock off top seeded Virginia, they completely dominated them in every facet. For much of the first half, the same could be said about Gardner-Webb. The Runnin’ Bulldogs literally ran all over Virginia. Freshman Jose Perez was relentless in leading his team in scoring and exuberance. When Perez’s deep three pointer put Gardner-Webb up by 14, it certainly appeared Virginia coach Tony Bennett was headed for another early offseason. Virginia closed the gap and ultimately pulled away in the final ten minutes. The increased intensity on defense and aggressiveness on loose balls and rebounding propelled the heavy favorites in the second round against Oklahoma. “When Ty (Jerome) gets going, Mamadi (Diakite) is all over the offensive glass, and guys are hitting shots, it’s a beautiful thing to watch,” Virginia guard Kyle Guy said. The Cavaliers will need to play with a much greater sense of urgency on Sunday. Their opponent, the Oklahoma Sooners, could not have looked better as they flat of annihilated Ole Miss from start to finish. Brady Manek stood out for Oklahoma as he was out there causing panic for the opposition. Kristian Doolittle, also known as Kristian Doolots, was all over the court. He finished with 19 points, 15 rebounds and five assists in Oklahoma’s 95-72 dismantling of Ole Miss. 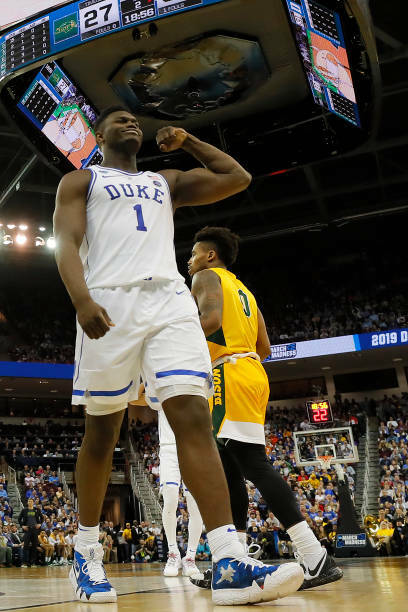 In the night session, the 16th seeded North Dakota State Bison definitely rattled the Duke Blue Devils for about a half. Duke took a four-point lead into the locker room but unlike Virginia, immediately exploded out of the intermission. All eyes were on Duke’s star freshmen trio of Cam Reddish, RJ Barrett, and Zion Williamson. Their opponent on Sunday had plenty of energy all night as UCF ran through a pesky VCU team. The Knights showed they have the potential to present matchup problems to anyone in their path. Whether or not they can compete with Duke, we will find out on Sunday.